Harvesting Moose: Where Have They Gone? Local hunters who have won Moose permits from the annual lottery have started to notice the odd shift in moose sightings and sign. “I have hunted the same area many many times and have seen little to no moose sign over the years. Other areas that I have hunted that I’ve never seen moose sign, I began to see moose sign but the sign is not what it used to be in areas I have been hunting in the past,” says Sabin. It is harder to find moose around Vermont. So, where have the moose gone? According to Vermont Fish and Wildlife biologist Cedric Alexander, the moose are dying off over the winter months due to the effects of mass amounts of winter ticks. At the start of January, 2016 a three year study was started to observe the abnormal and dramatic decrease in the New England Moose population. “The study is for Vermont to join in with neighboring states to look at our moose, in our most dense moose population area which is in Essex county area,“ says Alexander. 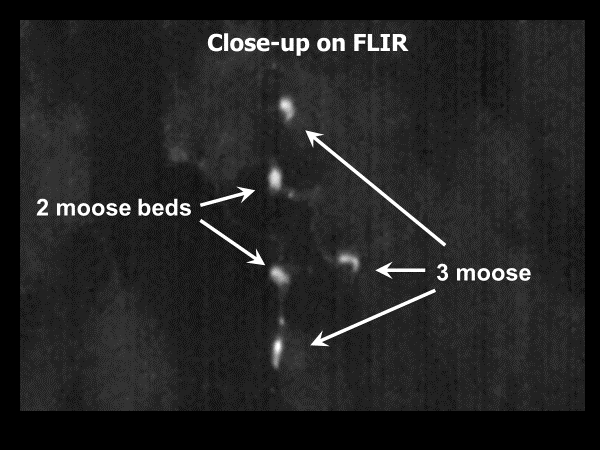 The department of Vermont Fish and Wildlife began tracking these moose with gps/vhs collars. 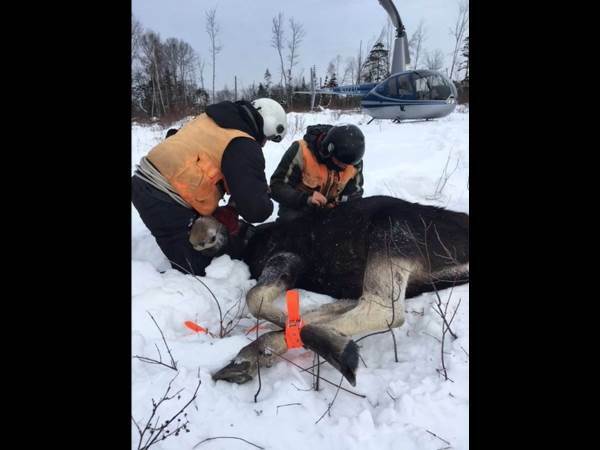 “A moose calf ends up with the same amount of ticks as a regular cow moose would have,” Alexander said. “We collared 30 calves which are about 7 months old in January because they are born in May. We also collared 30 cows so we can track them to the following May and try to determine when they are calving and if they have calves.” The Department of Fish and Wildlife has agreed to funding the study for two years at about $424,123.00. 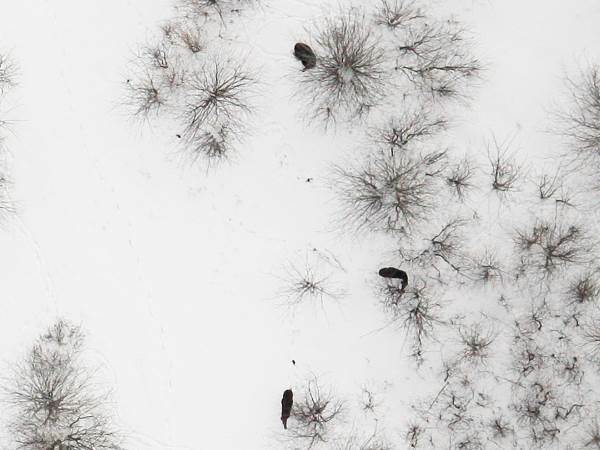 These moose are captured by a helicopter net gunning crew: “Moose muggers we call them,” said Alexander. “When the helicopter lands or drops these two guys off, they run over and tackle the cow moose or tip it over. Hobble it, hobble its legs with straps.” Once the moose are captured, hair, dna, tick count, teeth are all harvested to determine how ticks affect these moose over their winter. As of 2017 a new rule was created that only bull moose were aloud to be harvested during the season. In just the past 10 years the winter tick decimated the moose population. When Tyler Sabin examined his young moose back in 2007, he conducted a tick count.